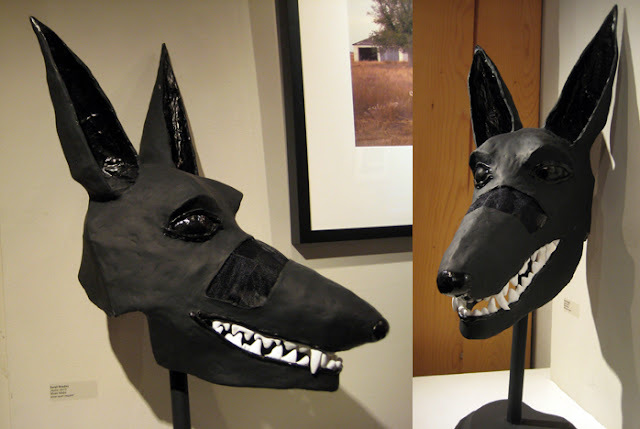 I started making this mask years ago, then got it done enough to wear to monster battle last fall, then worked on it some more to include in the photo-eye Staff Show. I had two masks in the show. It's strange and creepy -- mat black and high gloss, which is a bit hard to photograph. 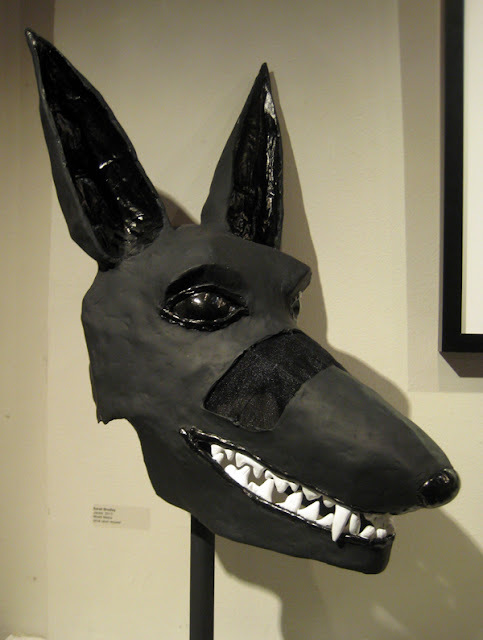 Based loosely on Anubis, with the huge jackal ears. 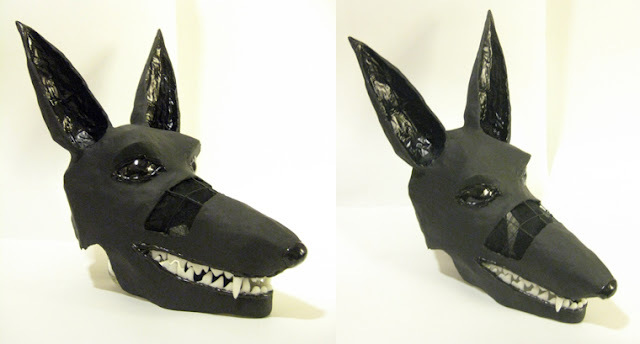 Wire frame with paper mache and then a layer of paper clay. Nose, eyes, lips and teeth are all instamorph. I'm planning on doing some more detail work on the teeth when I get it back home. 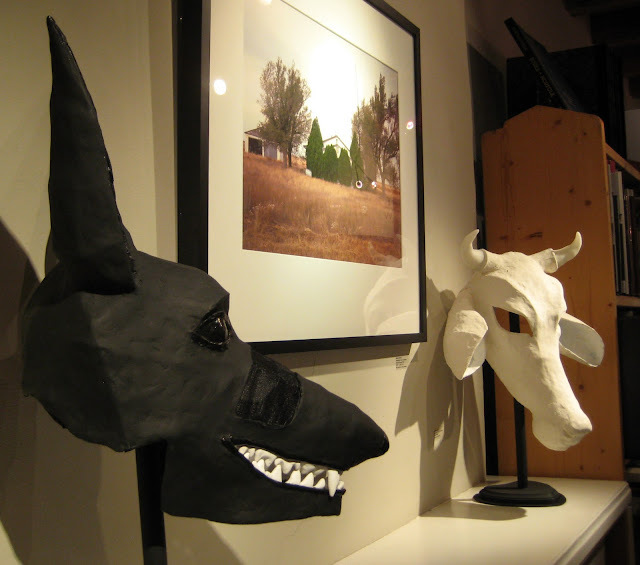 I wore it when it was just paper mache but I think the paper clay has shrunk the whole thing enough to make it too small for my head -- at least without pain from the instamorph eyes digging into my forehead. I'll post some pictures of it being worn when it's completely finished.